These observations about Canton, China, come from a report prepared in 1921-1922 by Captain S. V. Constant of the U.S. Military Intelligence Division. 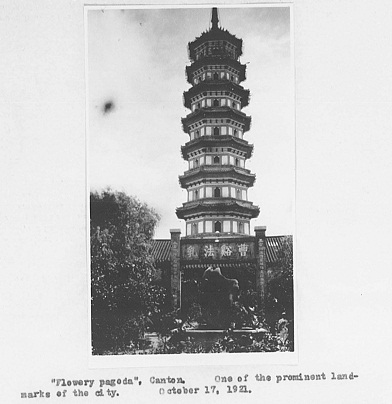 In addition to his observations on a wide range of topics, Constant’s report on Canton also includes photographs that he took as he traveled through the region. After World War I, the U.S. Military developed a sophisticated intelligence capability. As Constant’s report on Canton indicates, the American military attachés gathered information on a wide range of topics on the countries in which they were stationed, including internal politics, social and economic conditions, and foreign relations. 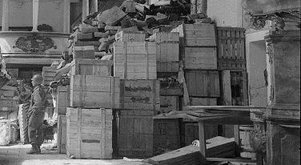 ProQuest History Vault’s newest module, U.S. Military Intelligence Reports, 1911-1944, contains the report of the U.S. Military Intelligence Division for China, Japan, France, Germany, Italy, the Soviet Union, Argentina, and Mexico. The module also includes biweekly intelligence summaries and combat estimates for Europe and the Western Hemisphere for 1920-1943. Beyond reports like the Canton report excerpted above, the Military Intelligence Division also covered the major political and military developments in the countries in which they were stationed. 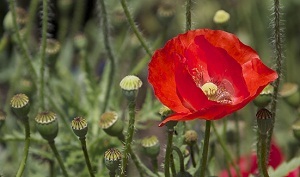 In the aftermath of World War I, as countries sought to recover and rebuild from the devastation of the war, radical political ideas, on both the left and right sides of the political spectrum, gained adherents and political power in many countries. Reports on Japan, for example, trace the growth of Japanese militarism in the interwar years, the invasion of Manchuria in 1931, fighting in Shanghai between Japanese and Chinese forces in 1932, and the attempted coup d’etat in Tokyo on February 26, 1936. Germany reports cover events such as the founding of the Weimar Republic in 1919, the economic crises that gripped Germany after World War I, and Hitler’s victory in the elections of 1933. Files on the Soviet Union detail the civil war between Red and White forces and the efforts of the Communists to solidify their hold on power. In addition to reporting on individual countries, the combat estimates that are included in the Military Intelligence module offer a vivid picture of the military posture of future allies and enemies between World War I and World War II. These combat estimates also reveal the strategic concerns of the United States in the period from 1920 to 1943. Overall, U.S. Military Intelligence Reports offer international and area studies students, European and Asian history students, and military history students exceptional reporting on conditions around the world during the important years between World War I and World War II. For more information on U.S. Military Intelligence Reports and History Vault, visit the History Vault page on our website. For related ProQuest products, see the World Conflicts page. Librarians, be sure to sign for up for free trials of the U.S. Military Intelligence Reports and the other related products covered on the World Conflicts page.